We are pleased to announce that Raleigh Orthodontist Jason Gladwell has joined as a premier sponsor of ACC Confidential. Dr. Gladwell has ACC roots as he completed his undergraduate degree at NC State and went to dental school at the University of North Carolina (UNC). The Gladwell Orthodontics practice is located in Wake Forest but the majority of their clients are from the Triangle area and throughout much of North Carolina and Virginia. 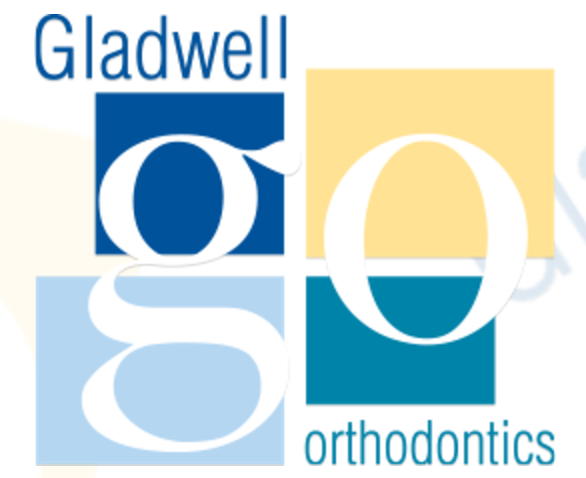 You will notice the Gladwell Orthodontics logo on posts and articles sporadically. If your son or daughter is in need of braces, Invisalign or any dental work we strong urge you to contact Gladwell Orthodontics today. The short trip up Capital Boulevard or US 1 will be well worth the trip. Gladwell Orthodontics recently opened a Starbucks Charity Cafe in which patients can receive free Starbucks coffee. The office also has an arcade room and free wifi. You are never going to be left without something to do when you visit Gladwell Orthodontics. The Associated Press decided to take a look back at its 80 years of issuing polls to generate a “top 100.” They used a formula that took into consideration appearances in polls, #1 rankings, and national championships. The top five schools using that criteria turn out to be Ohio State, Oklahoma, Notre Dame, Alabama and Southern California. 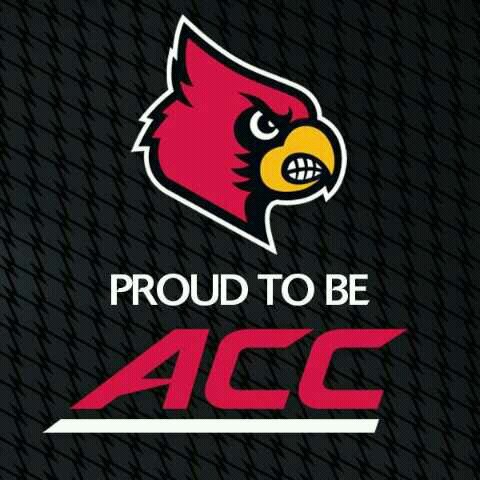 But how did the ACC schools do? Thus, all ACC teams made the top 100. Which is nice. Clemson is WAY above South Carolina. In fact, of the schools with SEC rivals, only Georgia Tech failed to finished higher than its counterpart. Syracuse finished at #41, despite not being ranked since 2001. One can only wonder how much higher the Orange would have been if the list had been tallied back then. Of course, if they had not hired Greg Robinson… nevermind. And Wake Forest was not the lowest P5 school. Iowa State, Rutgers, and Vanderbilt all earned that status. In fact, do you want to know how pathetic Rutgers is? Rutgers finished behind Holy Cross and Fordham. And Big 10 fans think Rutgers is a NYC school! Sadly, Rutgers is also a football school… certainly not known for their elite hoops. Other schools to top Rutgers were Army, Penn, Rice, Tulane, Wyoming, Cornell, Toledo, and Santa Clara. Big XII expansion candidates: BYU: #34, Houston: #49, Colorado State: #77, Cincinnati: #81, USF: #94. UConn, Memphis, and Central Florida did not make the list. In any event, even excluding Notre Dame, the ACC had 14 schools in the top 80– 17.5%, which is just under the 20% expected as one of 5 power conferences. And with 8 of the top 41 teams (40 excluding Notre Dame), that works out to exactly 20%. Naturally, including Notre Dame makes things look even better. The Baylor football story has been very interesting over the past several years. From 1996 onward, the program won the following number of wins: 4, 2, 2, 1, 2, 3, 3, 3, 3, 5, 4, 3, 4, and 4. From 2010 forward, the program won 7, 10, 8, 11, 11, and 10 games. In other words, the Bears won 57 games in the 2010’s after winning 43 in the prior 14 years. Quite a turnaround. However, news out of Baylor recently shows that, once again, you simply cannot place faith in athletics–there is routine disappointment. After the murder, one of Bliss’ assistant coaches secretly taped Bliss having a conversation with two players, instructing them to sensationalize stories to police to make it seem that Dennehy was simply another African-American casualty of the drug trade. Bliss resigned from Baylor one day after the August 2003 memorial service for Dennehy. In the fall of 2015, Baylor hired Pepper Hamilton to review its past treatment of sexual assault claims. Outside the Lines reported last week that some Baylor officials, including coaches, knew about incidents of sexual assault, domestic violence and other acts of violence involving football players, but most players didn’t miss playing time as punishment. Thus, Baylor is simply moving from one felony scandal to another in this millennium. Not exactly something to be proud of. Of course, those looking at athletics for “pride” are often left holding the bag. How many icons have denied various transgressions (from steroids to tax evasion), only to later have to admit to same when the evidence mounts? How many icons have squandered their fortunes on vices and foolishness? How many icons have left this earth far too early, due to an inability to control themselves off the field with anywhere near the diligence of their athletic discipline? Lance Armstrong. The New England Patriots. Michael Jordan’s odd career. Even prestigious Duke seems to merely be escaping punishment. What happened at Baylor (again) is not a surprise, no matter how shocking. All sports fans treasure their athletics. And perhaps fans do so a bit too much. Too many fans would rather win while bending rules than win honorably. Sadly, all fans get for their fandom is memories and a lighter wallet. It is the players and coaches that actually do the winning. Nevertheless, modern sports has figured out a way to make fans feel like every bit the “winners” that the players are. And with money increasing exponentially in even college sports, the ethics will get blurrier and blurrier. Baylor is unlikely to get the death penalty, of course. This is 2016 and there would be far too much litigation for it to be worth it. But a Penn State type penalty may be looming. Enough to keep the TV money flowing to the Big XII, but also punish Baylor significantly. And it will likely be deserved. For now, it is also prudent to await more details. The first details are not always the true details. And the reaction to a scandal these days is not always proportionate to the culpability. Perhaps Art Briles is a good, ethical man. Perhaps not. Time will tell. The foolishness is beginning with a presumption that coaches and players are good men and waiting for them to inevitably prove us wrong. Welp, that did not take long. Recent athletic director hire Mark Coyle is already leaving Syracuse for the greener snowier pastures of Minnesota. Syracuse.com refers to “family reasons,” which would be a very good reason for such a move. At Minnesota, Coyle will be able to compete in a division with Wisconsin and Nebraska in football–a step down in competition from Florida State and Clemson. Of course, the history of Gophers’ sports is not exactly riddled with bowl successes and Final Four runs. In any event, Minnesota is likely flush with all that Big 10 cash, as that conference shows its true colors by putting money ahead of every decision. And, in reality, it is only that the Big 10 is simply better at converting athletics into cash than most other conferences. The same hypocritical agenda is in place in the ACC, as well as all other conferences. Meanwhile, the sheeple of this world continue to believe that Universities have any morally sound agenda whatsoever. Regardless, Minnesota has money than Syracuse simply does not. As for Syracuse, they are still a P5 school that can pay more than most other non-P5 schools. As the Coyle hire was good, there is reason to be confident that the Trustees will make another good hire. For the most part, other than (a) not getting joined in a conference with Penn State somehow; and (b) hiring Greg Robinson, Syracuse athletic directors have done a very good job over the past 40 or so years. Sadly, Dwayne “Pearl” Washington has passed away. As a Syracuse Orange fan from birth and one who remembers the early days of Louie and Bouie, there is no doubt that The Pearl was the most important player in converting Syracuse from an interesting regional team to a national power. Hey, just ask Jim Boeheim. Although he was from New York City, only several hours from campus, Pearl was a major recruit and promised to bring great things to Syracuse before leaving. Yes, one of the greatest moments in Syracuse basketball history. Unreal at the time. Unreal today. In today’s world, words can be meaningless. It can be said that Pearl had an amazing crossover. But you have seen a few other ridiculous ball-handlers since Pearl too. It can be said that Pearl was one of the few players in college basketball who could take on Georgetown and Patrick Ewing–and you would be right. But, for many, Ewing is a distant memory too–a good to great NBA player, but forgetting how dominant he was in college. As you can see, amazing things with the basketball. And that does not do justice to his skill set and demonstration of it game after game. There were few games where Pearl was not dominant–if not scoring, then by dishing the ball. He certainly made his teammates better– a great compliment. Nationally, he was a player that fueled the Syracuse-Georgetown rivalry that helped popularize the Big East and even ESPN. We might not have ESPN2, much less ESPN3, without those early catalysts from the Big East. Not a bad legacy. Although his NBA career was surprisingly underwhelming, Pearl is… sadly, was… one of those great college legends that simply never made it professionally (just like most Heisman Trophy winning quarterbacks, in fact). As you get older, you will find that the age where you say “that man was too young to die” gets increasingly older. But perhaps there is little dispute that 52 is too young to die. And it certainly is. But Pearl used but a few of those 52 years to create eons worth of memories. On behalf of all college basketball fans, and certainly Syracuse fans, the passing of Dwayne “Pearl” Washington is a reason to mourn. And remember. College athletics are changing. You know that, and we know that. The NCAA even recognizes it. If there’s one school that embodies this change, and even more so, the reason behind it, it’s The University of North Carolina. It’s been over four years since Marvin Austin’s famous ‘Club Liv’ tweet (which, coincidently, is controversial for another reason too), and the University has undergone a number of changes that have been woefully underreported and underrated (see them here). But we’re the media and we like sensationalism, so it’s easy to understand why the Carolina Commitment may not be as fun as the continued antics of PJ Hairston. Today, however, the school revealed another step in the continued healing process with their image, their fans and their athletes. It’s called Complete Carolina, and it’s a long overdue idea that other major Division I programs need to take note of. The field of 8 is set in Omaha for the 2014 College World Series. This years field features three teams from the state of Texas, all three from the Big 12. The SEC has two participants while no other conference has more than one. It’s that time of year again! It’s time to pack your bags and go to the most sought after summer destination, Omaha. The 16 Regionals of 4 teams are coming to end and soon there will only 16 left.